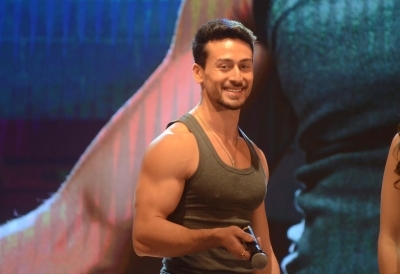 New Delhi Sep 15 (IANS) Actor Tiger Shroff who is often linked with his rumoured girlfriend and actress Disha Patani confessed that there is more than friendship between then. During the India Today Mind Rocks Youth Summit 2018 here on Saturday the "Heropanti" actor said: " We can be friends also na? There is more. We are very good friends. "She is very inspiring and hardworking. She doesn t take the good looks and talent to her head. Even after her success she hasn t changed " he said. As Tiger will be seen with Hrithik Roshan in his next film he shared how difficult it would be for him to perform in front of his inspiration. "I have always been inspired by Hrithik Sir. I am very nervous. Whatever I have achieved so far is because of my inspiration Hrithik Sir. "It will be tough to dance and do action against Hrithik. I hope I don t freeze in front of him " he added. Also at the event Tiger paid tribute to the late legendary singer/dancer Michael Jackson by performing on his song "Billie Jean".